G Scale, Outside layout that includes Trees, Ponds, Tunnels and more. HO Scale, Inside the building and is designed to look like Santa Cruz County. N Scale. Also inside the building, double track main line that runs the entire length of 2 walls in an L shaped design. In 1973 the Redwood Coast Model Engineers Society was formed from a combination of two smaller rail enthusiast clubs. This organization provided the basis for a creative outlet and mutual enjoyment for its membership. Building and operating model railroad layouts and modules. 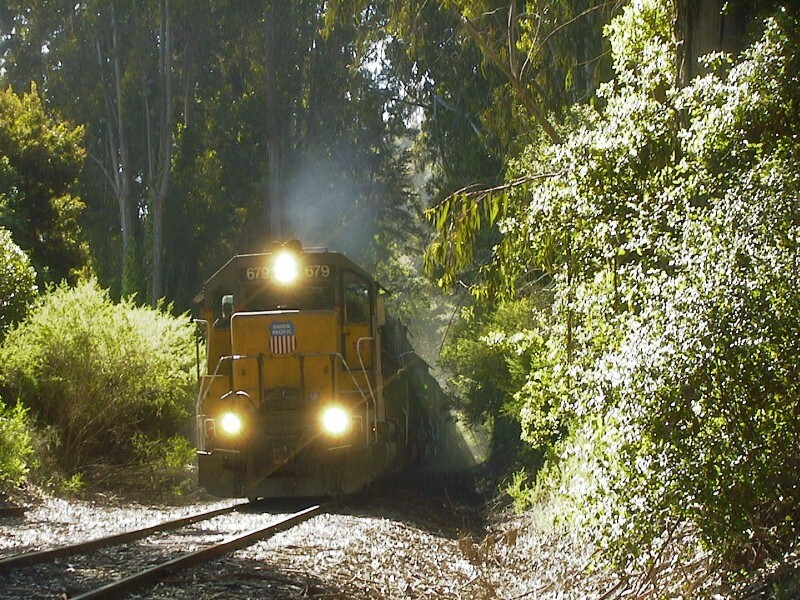 In the early part of 1993, in order to facilitate a larger base of interest and to secure expanded quarters, the Santa Cruz County Railroad Historical Society was formed from the older organizations. Since then our layouts have been growing, changing and expanding in our new location at the Santa Cruz County Fairgrounds in Watsonville California. Stop by and see us sometime! We are open on monday nights from 7:00pm-about 8:30pm. If You Would Like To Be A Member. Stop by and pick up an application.